The rapper’s surprise album is set to have one of the year’s biggest debuts. Eminem's new album Kamikaze will debut at No. 1 with over 360,000 units sold, according to a Billboard report. First week sales in that range would give Kamikaze one of the best debuts for any album released in 2018, and make it Eminem's ninth No. 1 album. 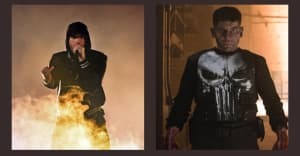 Kamikaze is currently projected to have the fifth best album debut of 2018. The top first week of the years went to Drake for Scorpion with 732,000 units sold, followed by Travis Scott's Astroworld with 537,000 units, Post Malone's beerbongs & bentleys with 461,000, and J. Cole's KOD with 397,000. 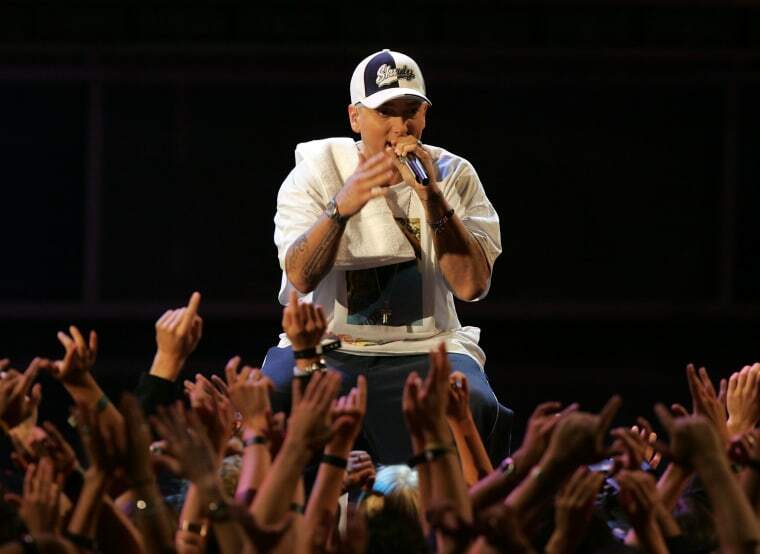 Kamikaze managed to top the first week sales of Eminem's 2017 album Revival, which bowed with 267,000 units. Eminem shared a video for "Fall" on Tuesday. The track was condemned by listeners and the song's featured artist Justin Vernon of Bon Iver for a homophobic slur targeting Tyler, The Creator.